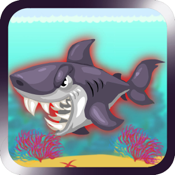 Watch out for these sharks! They'll try anything to eat you for supper! 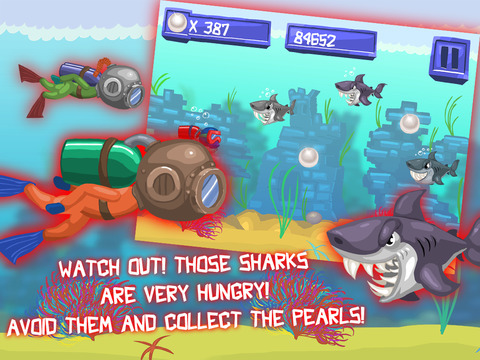 Use your diving skills to evade the sharks and collect the pearls so you can cash them in for coins to buy even better diving equipment!